is our Private Label Brand exclusive to Mainstream Boutique. Created by Founder, Marie DeNicola, and named after Marie’s only daughter Mikayla, or “Mac” - Mac and Me is all about love, fun, fashion, and celebrating the inseparable bond between mother and daughter. Each interaction makes an impact. One Woman, One Community, One Family at a time. 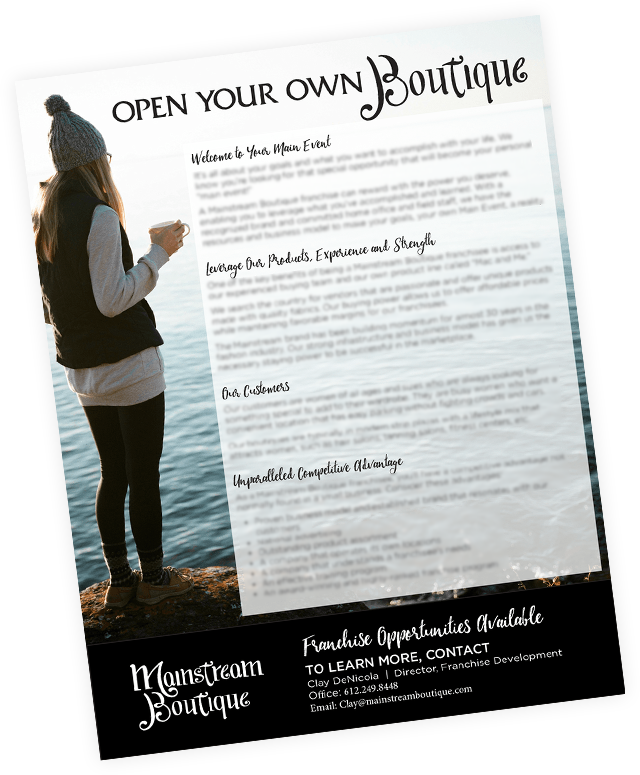 Learn more about opening your very own Mainstream Boutique.